Seamless vector pattern with colorful flower blossoms. Different species of flowers with various colors, shapes and sizes of the petals. 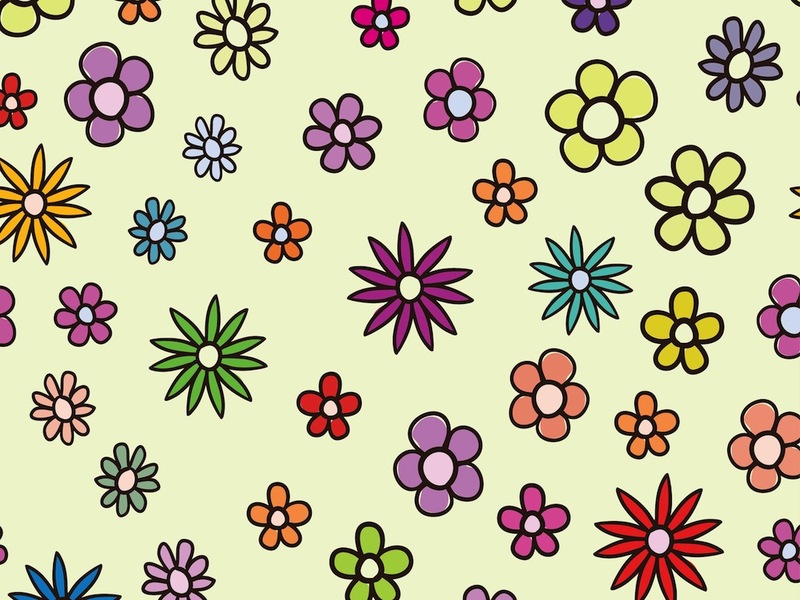 Randomly scattered cartoon style vector flowers. Free vector colorful pattern to use in all your backgrounds, backdrop images, wallpapers and summer posters projects. Tags: Background, Blossoms, Colors, Floral, Nature, Petals, Plants, Seamless Pattern.